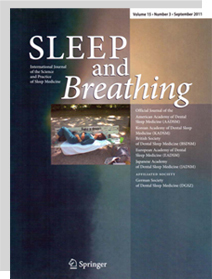 Sleep and Breathing reflects the international state of the science and practice of sleep medicine. on the management of the upper airway during sleep. presenting well-chosen, well-written, and highly organized information that is useful in patient care.